Because I am in the golf fitness business, I am always looking for new and challenging techniques that I can incorporate into an exercise program, a new video presentation, a swing clinic, in my practice at the range or helping my buddies. It is amazing how much information is out there to “help” me play better golf. Books, magazines, blogs and videos are all available for me to pick and choose from. 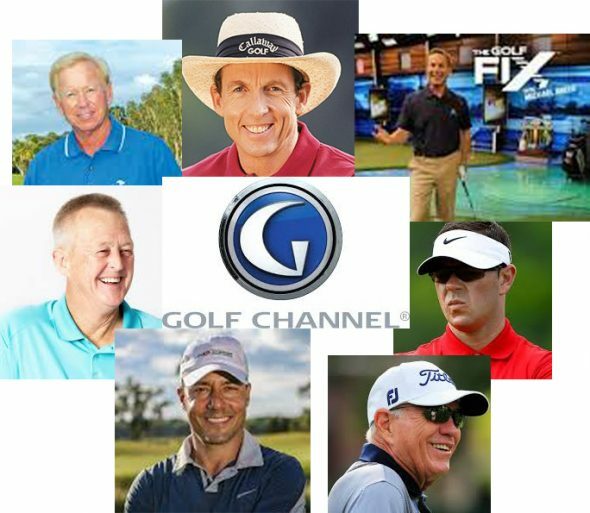 Every famous golf teacher in the world has his or her own philosophy, techniques, tips, and drills that, if incorporated and worked on diligently, can make a major difference in your performance and your score. And that’s what it is all about isn’t it? Lower Scores! On the other hand, if we are not discerning about it, all this information can be overwhelming, frustrating and possibly debilitating. “That one didn’t work…I’ll try this one” can become a bad habit that will only cost you time and possibly money. New Putter! New Driver! Different Ball! New Shoes! You get the picture. I think the reason why we recreational golfers (and I put myself in that category) seek out so much information about full swings, chipping, putting, bunker play, more distance, golf fitness, etc, is because golf is so darn hard, and we want to play better to enjoy it more. I think all this information is a very good thing. It allows us to funnel and filter the information that makes sense to us. If we need help with putting, there are hundreds of tips to help us become more proficient at putting. If I am struggling with my driver, I can look up a tip or drill on driving the ball straighter, longer or more consistently. Then, with practice (a key component to success at golf) I can feel what I need to change or correct and “Voila” (that’s French for Walla), I have added one more piece to this amazing puzzle that is golf. Because at GolfGym.com our focus is on golf fitness, I am always looking for new ways to help train your body to perform the golf swing in a manner that will create more consistency, flexibility, stability and strength which will help ward off injury. The bottom line for me is that just accumulating knowledge is not Power. So, read, listen to, and watch everything you want to. Then get out there and practice what you have learned. You will reap the rewards of knowledge well applied. ← There Ain’t No Such Thing As Muscle Memory!